Gallery Carts manufactures and maintains custom food and beverage carts for a wide variety of vendors. They have a detailed QA process to ensure products are delivered on time and as expected by their customers, but the meticulous details were recorded on paper, which made it less readily accessible to everyone involved in the process. 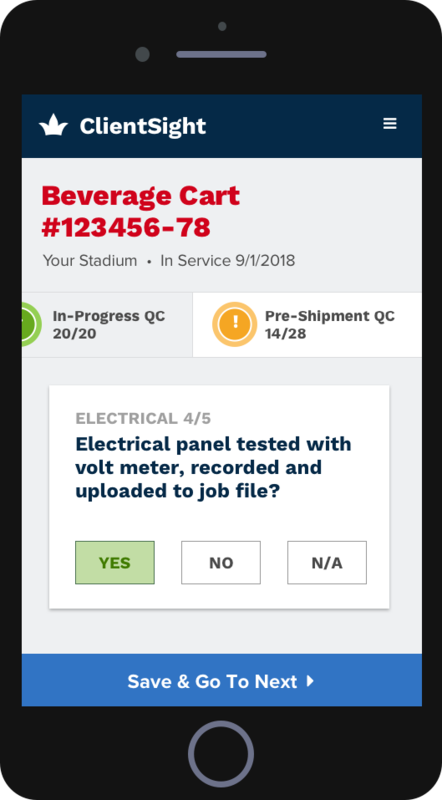 We developed a custom web application that allows everyone in the QA process to instantly access the status of a given cart with detailed checklists of inspections and other QA steps that need to be completed before delivery. Each cart has its own QR code, which can be scanned to immediately view information about that cart’s history and components of the cart can be reviewed for a more efficient maintenance process. Carts can also be sorted in the application to view the carts present at a specific location.